Zeebaard stops organizing tours in 2019. Why? To paddle comfortably, you need a good boat. That is why Zeebaard only works with good quality equipment. Have you ever hired a canoe before and do you remember feeling like you had a wooden back and soaked, cold trousers? Forget that experience! 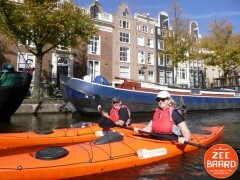 Zeebaard offers you the kind of equipment that advanced kayakers use. What is the difference between a kayak and a canoe? ‘Canoe’ is the more general term used to indicate different kinds of boats that are navigated with a paddle in your hands. The two types of canoes that are most common are the Canadian canoe and the kayak. A Canadian canoe is an open boat that has a paddle with just one blade. 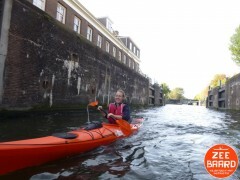 A kayak is a closed boat, with a cockpit that protects the paddler from splashing water and from the wind. Its paddle has blades at both sides. Zeebaard only paddles with kayaks. 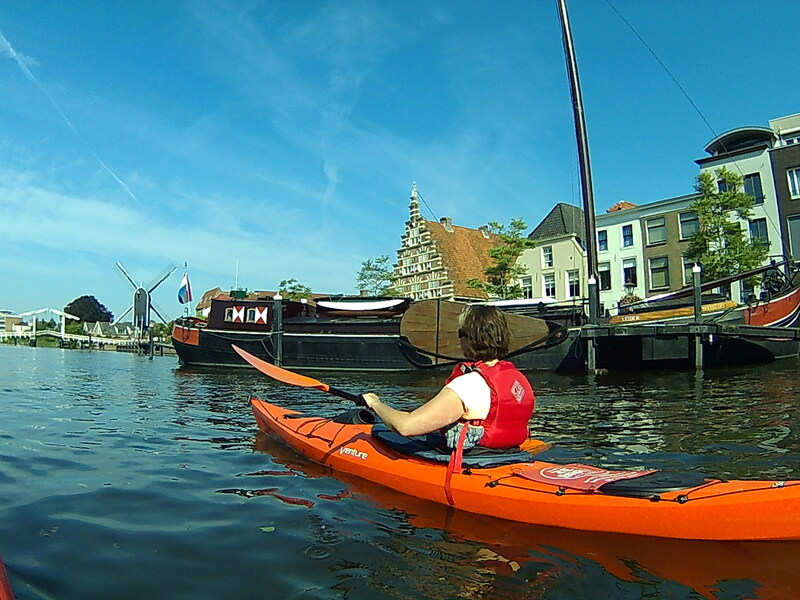 Kayaks are available in several shapes and sizes. 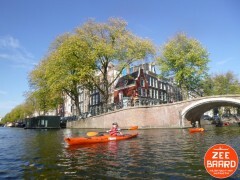 For the tours, Zeebaard has chosen a type of boat that combines safety with comfort and stability. The boat has a good quality seat that makes the kayak very comfortable. The cockpit remains dry because of the use of a spray deck. 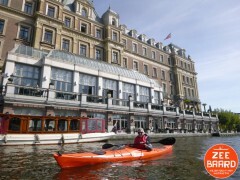 The kayaks are accommodated with waterproof partitions at the front and rear of the boat. These are used to bring along your belongings dry and safely, and even more important, it makes the boat unsinkable. The boats also have decklines which provide them with a grip for others. In the unlikely case that the boat capsizes, it keeps floating and the swimmer can be helped to get back into the kayak. The paddles are made of carbon which makes its weight light. In order to prevent you from getting soaked trousers, you can paddle with a spray deck. The spray deck offers protections from splashing water, water that drips from the paddle, and even from rain. The spray deck keeps you dry, even in case the weather may change. The use of a personal floating device (which is smaller than a life jacket) is obligatory. Besides, Zeebaard is provided with everything that is required to paddle safely: hypothermia blankets, a first aid set, a water pump and a telephone.